This collection of patterns is perfect for warmer weather. From Bikinis and bralettes to cropped tops and dresses. 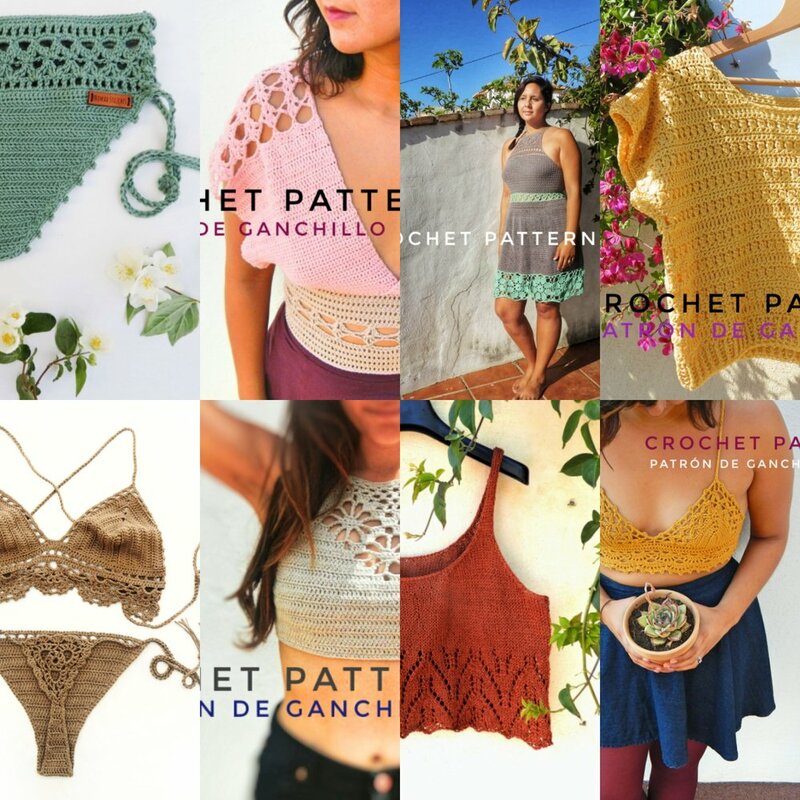 Build your handmade wardrobe using these detailed instructions for crochet and knitting projects. Get ready to get cozy with these crochet and knitting projects for the colder months. Get detailed instructions for hats, scarves, sweaters and many other fall and winter garments. All patterns come with photo tutorials and charts when necessary. If you're not a maker, but love the idea of having a handmade item, let me make something pretty just for you. All items are handmade from scratch with high quality materials and customized to your specific measurements. You can personalize the color, material and style in all of the items on sale. And, if you don't see what you're looking for, contact me for a custom order.